Le Guin says: Lao Tzu thinks the materialistic dualist, who tries to ignore his body and live in the head, and the religious dualist, who despises the body and lives for a reward in heaven, are both dangerous and in danger. So enjoy your life, he says; live in your body; where else is there to go? Heaven and earth are one. As you walk the streets of your town, you walk the way of heaven. Questions: What are you waiting for? Where are you living? 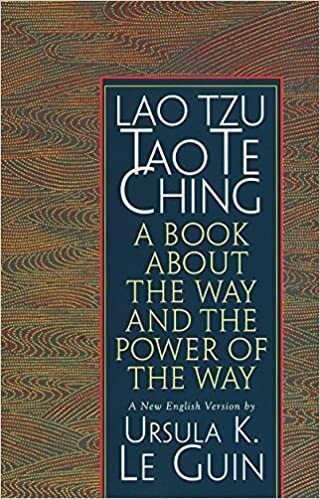 This entry was posted in Being Human, make your own world, mindworks, my museum of inspiration, Other peoples words, philosophy, poetry, thinking in words, whereever you go there you are and tagged Lao Tzu, Philosophy, Poetry, Tao Te Ching, Ursula K. Le Guin. Bookmark the permalink.